Greetings, Arsians! Courtesy of our friends at TechBargains, we have another round of deals to share. 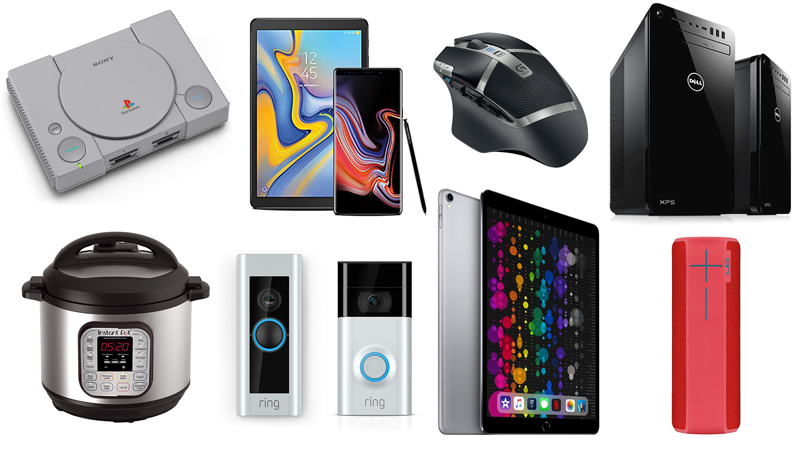 Today’s list is absolutely packed with solid discounts but is headlined by a number of deals on various Apple devices, including iPads, Apple Watches, and MacBooks. This may not come as a huge surprise given that Apple is expected to introduce new hardware sometime in the next few months, but the deals encompass the most recent iterations of the 9.7-inch iPad, the 10.5-inch iPad Pro and Apple Watch Series 3 released in 2017, the 256GB variant of the latest MacBook Air, and the company’s HomePod speaker. Some of the discounts bring these devices close to their all-time lows: the 32GB iPad is currently down to $249, which matches its Black Friday pricing, while the 128GB model is down to $330, which also matches its going rate during the holidays. The 64GB 10.5-inch iPad Pro—which is probably best viewed as a premium iPad than a true laptop replacement—is $150 off, while the 42mm Apple Watch Series 3—which doesn’t have the big display of the newer Series 4 but is still a great entry point to smartwatches—is down by $80. If you don’t want to hop on the Apple wagon, though, fear not: we also have deals on the Xbox One X, Nintendo Switch games, Netgear’s Orbi mesh router, Logitech mice, Anker headphones, Instant Pots, and, if you want to hack it, the PlayStation Classic. Have a look for yourself below.